From December 4 to December 10, I had a pretty cool week. No, that is not a weather report. Rather, some cool things happened. It all started on December 4 when my wife and I had the opportunity to sit on the glass for the Nashville Predators. We, along with some friends, purchased the tickets at a fundraiser. It was an awesome experience. Pregame and intermissions were spent in the Lexus Lounge, where food and drink were flowing. It was also where we could bump fists with the Predators as they made their way to the ice. During the game, we got a good view of stuff like this. 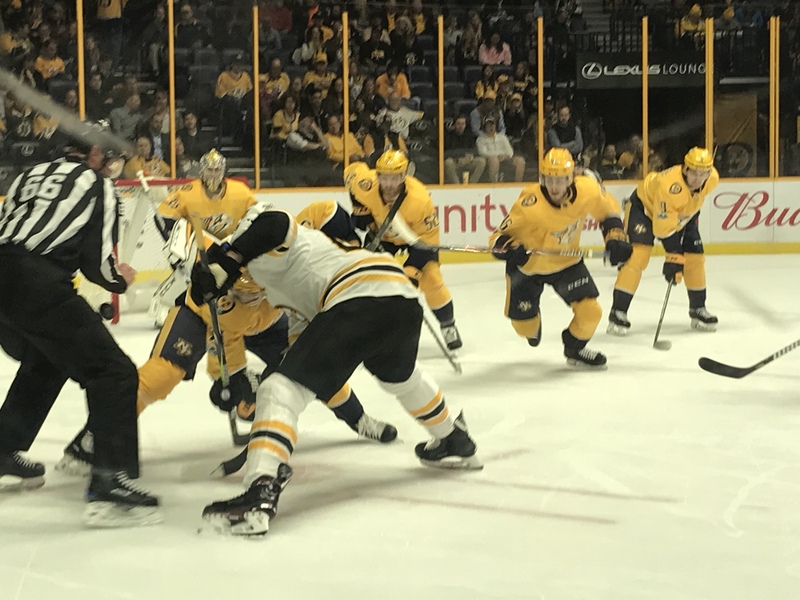 To make it even better, the Predators defeated the Boston Bruins 5-3. 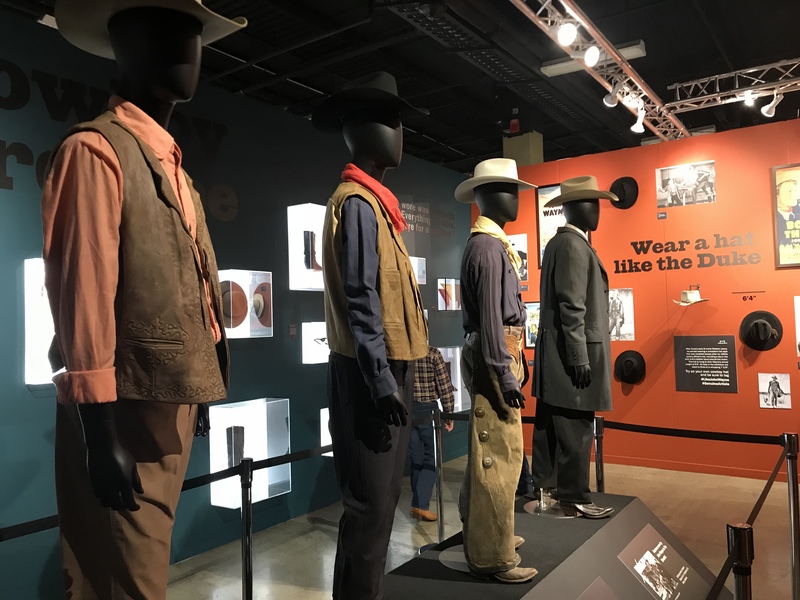 On December 7, I went with my brother, my nephew and some friends to see the John Wayne exhibit at the Opryland Hotel. We are all fans of the Duke and were able to discuss our fandom amongst his personal memorabilia. It was a great exhibit with his Oscar and a bunch of costumes. Do you know which movies these costumes represent? We finished the night with whiskey and steaks at a restaurant inside the hotel. We figured that was the perfect way to honor the Duke. 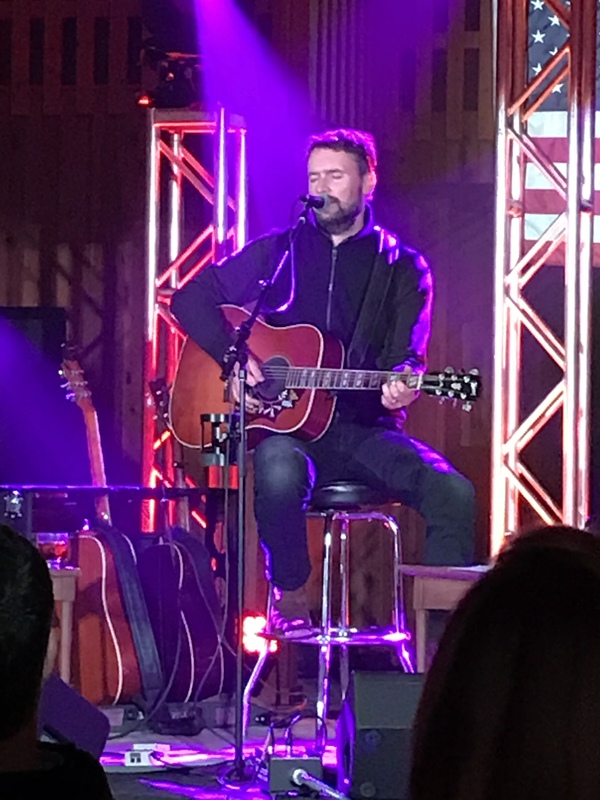 On December 10, my wife and I attended a private concert by Eric Church. We were invited a few weeks earlier and are thrilled that we had this opportunity. 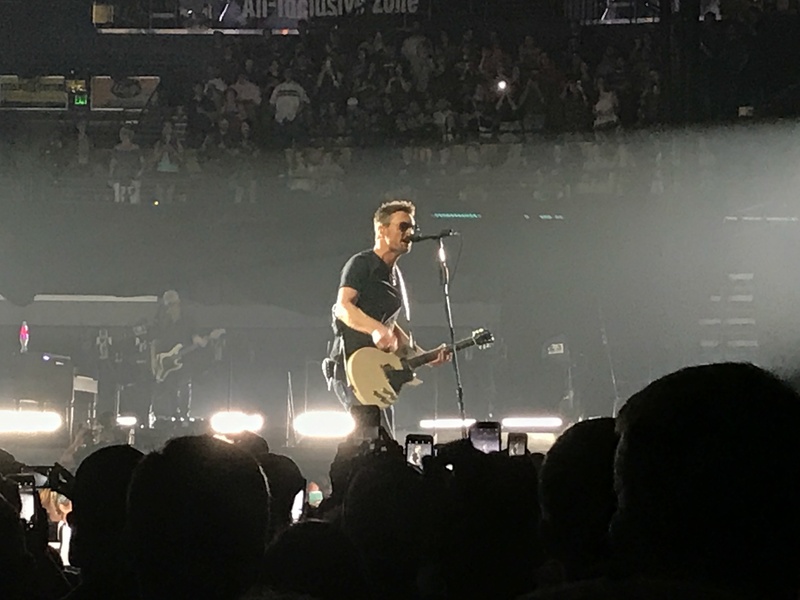 We saw him perform at Bridgestone Arena, but this was completely different. On the big stage, he covers himself in sunglasses and a cap. He also performs with a chip on his shoulder. This show did not involve all of that. It was him sitting on a stool with a guitar and telling personal stories about the songs. It was a great way to end a cool week in December. Once again, I went to the magazine stand at the grocery store. That means we have another case of Listeria, and this one is all about sports. Beckett called together a panel of experts and compiled a list of the 50 Greatest Athletes of All Time. With a collection like this, there are always arguments of who does and doesn’t belong. There are also arguments about the order. However, I did not buy the magazine to quibble over the details. I was curious to know how many of the athletes I have seen in person. That smaller list is as follows. Peyton Manning (41) – I was at the Rose Bowl when Peyton Manning entered his first college game against UCLA. The starter was injured on the first play, and the backups were thrown into the fray. Todd Helton was one of those backups, but Manning turned into the quarterback of the future. I attended most of his college games and have seen him in the NFL several times. Jerry Rice (36) and Joe Montana (19) – Super Bowl XXIII saw the San Francisco 49er’s against the Cincinnati Bengals. Both of these guys played in that game, and Montana led San Francisco on the game winning drive as time ran out. My dad took me to the game, and, admittedly, I was cheering for the Bengals because Time McGee, a former player at Tennessee, was on their team. Walter Payton (30) – I grew up a Cowboys fan, and my dad took me to Dallas to watch them play against the Chicago Bears. It was my first NFL game and my first time on an airplane. I don’t remember what Walter Payton did, but I was happy because the Cowboys won. I was also happy because I saw the Dallas Cowboy Cheerleaders. Deion Sanders (29) – Deion Sanders was a two-sport star, but I only saw him play baseball for the Atlanta Braves. Memories of the game are fuzzy, and I have no idea how he played. I just know that everyone was amazed that he could be one of the best players in two professional leagues. Magic Johnson (17) – My dad and I saw the Los Angeles Lakers play the Detroit Pistons, and it was awesome in many ways. We stayed at the same hotel as the Lakers and stood outside as they boarded the team bus. At the game, we spent one half court side and another half in the owner’s box. The Lakers won, but the Pistons got revenge by beating them in the championship series. Oh yeah, Bob Seger was in the box with us. Bo Jackson (12) – He is known for football, baseball and Nike Commercials, but I saw him before all of that. In 1985, Jackson and the Number 1 ranked Auburn Tigers came to Neyland Stadium to play Tennessee. Jackson would win the Heisman that year, but he didn’t win it during this game. He only got a few yards and eventually left the game. 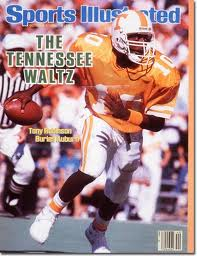 Tennessee won in a blowout, and Tony Robinson, Tennessee’s quarterback, made the cover of Sports Illustrated. Wayne Gretzky (4) – Late in his career, Wayne Gretzky came to town to play the Nashville Predators. Everyone wanted a ticket to that game, and I was lucky enough to get one. He didn’t score any goals but proved he was “The Greatest” by getting five assists. I remember that he set up behind the net and dominated. Should these people be on the list or placed where they are? I don’t know. I am just glad have the opportunity to see them perform. In the first pages of the magazine, they list 10 athletes who are on their way to stardom. Luckily, I have also seen a couple of them – Andrew Luck and Landon Donovan. Now, it’s time to see if they make the next list. The 99th post. Wait a minute. Scratch that. This is not really the 99th post. I have deleted a few along the way that I deemed a little unfair to the subject matter. Despite that small issue, this is the official 99th post of the Surrounded by Imbeciles blog, and I can’t believe that it has gone this far. When I wrote the first post, I couldn’t imagine writing this many. I really couldn’t imagine it as I slogged through the first month with a total of 49 hits. But, here I am a few months later with words on the Internet; people I have met cyberly; and the satisfaction of knowing that I am still typing away. Reaching 99 deserves a bit of celebration and recognition, and I know the perfect person…vampire…puppet…muppet to tell help out. 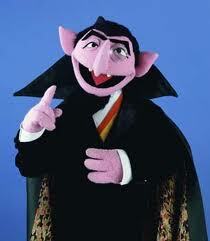 Without further delay, here is Count von Count and the importance of the number 99 HA! HA! HA! HA! 99 Luftballoons – In 1984, Nena, a German band, recorded this song as a protest of the Cold War. It tells the story of kids who release balloons that are mistaken as weapons by the East Germans, who launch the world into a nuclear war. An English version, “99 Red Balloons” was recorded later. I always liked the German version better even though the only words I understood were balloons and Captain Kirk. Check out the video. It may bring back old memories or introduce you to something new. 99 – The number of Wayne Gretzky, the greatest scorer professional hockey has ever seen. I never knew much about hockey, but I, like everyone else, knew about “The Great One”. I was lucky enough to see Gretzky play against the Nashville Predators during his last year in the league. He did not score a goal that night, but I believe he had five assists (or some crazy number like that). Agent 99 – I must admit that “Get Smart” was never one of my favorite shows. After school, the local stations always played reruns of old comedies. I liked Gilligan. I had a crush on Marcia. I wanted a pet dragon named Spot and a robot named Robot. But, I hated Maxwell Smart and his slapstick comedy. The only redeeming quality of that show was the hotness of Barbara Feldon as Agent 99. I only wish she would have used her skills to kill Maxwell. Then, it could have been “Get 99”. January 4, 1999 – One of the great nights of my existence. You know what people say when something great happens. They say that it is the best thing that ever happened – except their wedding day and when they had kids. Well, I’ve never been married and don’t have kids, so I don’t have to tell that lie. Being in the stadium when my team, the University of Tennessee Volunteers, defeated the Florida State University Seminoles to win the first BCS National Championship is one of my top events. I don’t even know how to describe the 23-16 victory. 99 Bottles of Beer – A traditional song that everyone knows, I have no idea where it came from or who first sung it. I just know that when it is over I (A) feel like I have drunk 99 bottles of beer, or (B) wish I had drunk 99 bottles of beer. 99 Years Old – The age of Eddie Albert when he passed away. Don’t know who Eddie Albert is? Well, he most famously played Oliver Wendell Douglas in “Green Acres”, but he had a long and successful career in television and films. I liked him best as Warden Hazen in “The Longest Yard”. 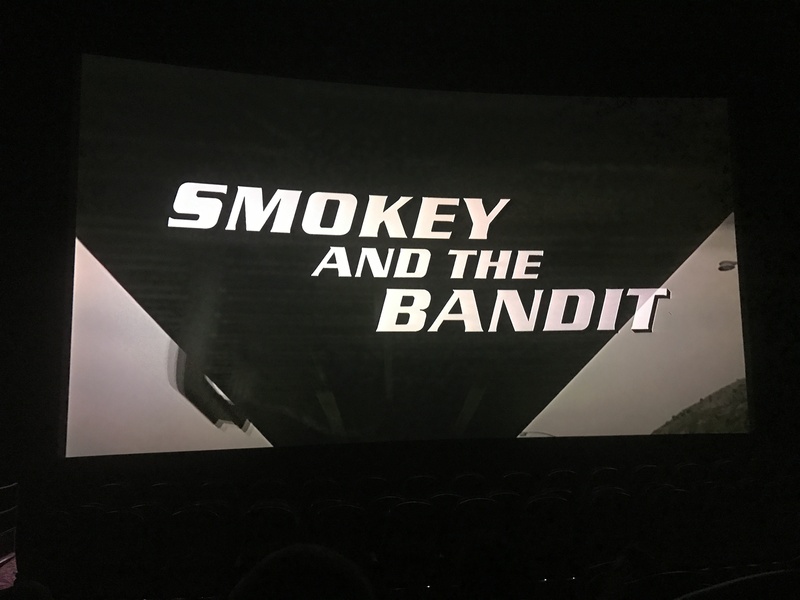 That is the original one starring Burt Reynolds and not the dumb one starring Adam Sandler. Why do they keep remaking great films? It’s difficult to improve on greatness. That’s it for the celebration of 99. There were a few other important items to list, but the Count needs to get back into his coffin in the subway system below Sesame Street. If you have any other 99 ideas, then shoot them my way in the comments.